Farmer Charley’s off Nadeau Rd. 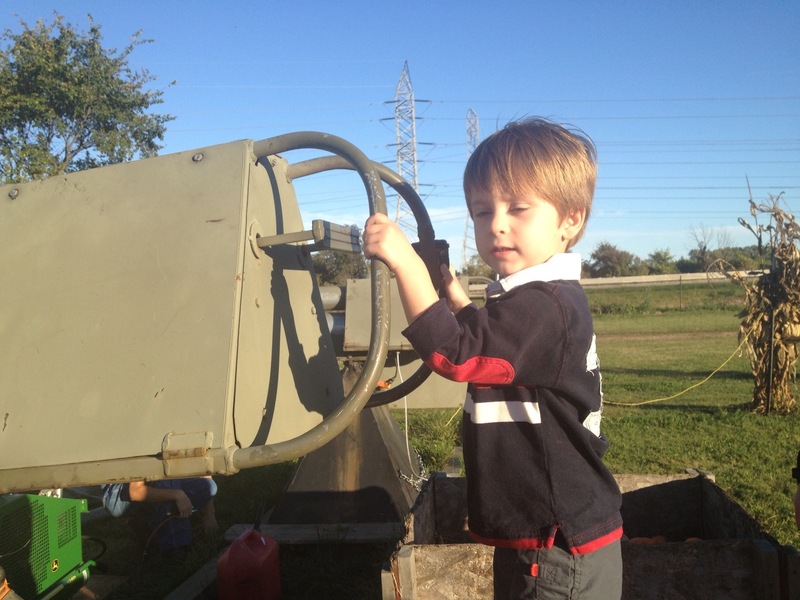 and interstate 75 is our favorite place for family fun for two reasons… The HOPPER and the Pumpkin CANNON! The Hopper is a HUGE bounce house floor (25 yards X 10 yards, maybe?) 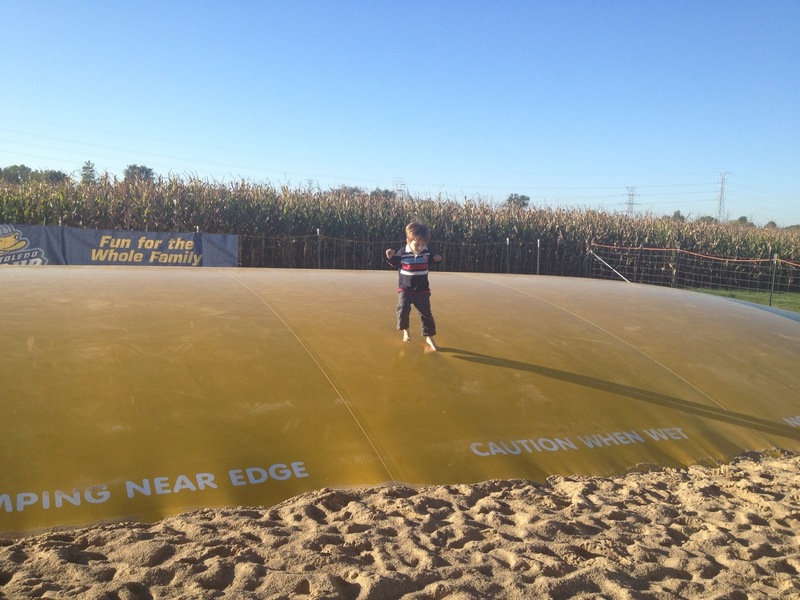 buried in what looks like a sandy beach volleyball court next to their corn maze. Our kid looooves a bounce house and this one is huge and more importantly, well-monitored by a staff member. Only a few kids of equal size allowed on for two minute intervals. You may not, but I have an unusual fear of a head injury being caused by this “kid-friendly” activity, but here, I feel SAFE(er), more than anywhere else at least. 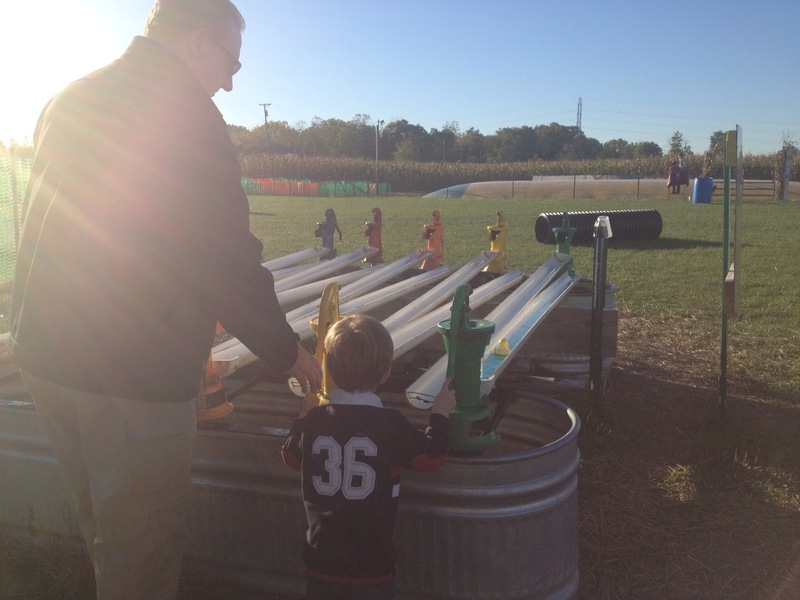 The pumpkin cannon is something we cannot find anywhere else and we talk about ALL YEAR! The crew welded their own metal pieces together, painted it army green and powered it with an air compressor (so no “kick back” like a real big gun/cannon, for those of you who may be familiar). 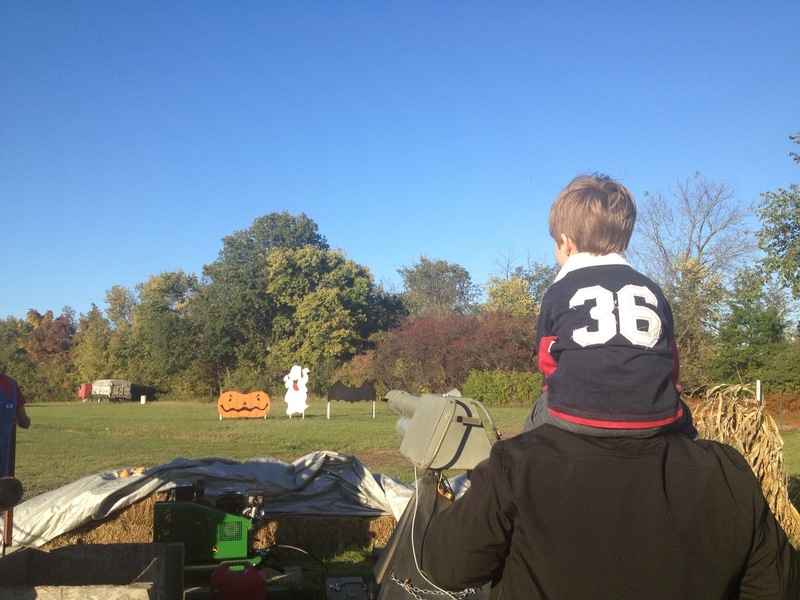 For $20 we got about twenty minutes of punkin’ chunkin’ fun! 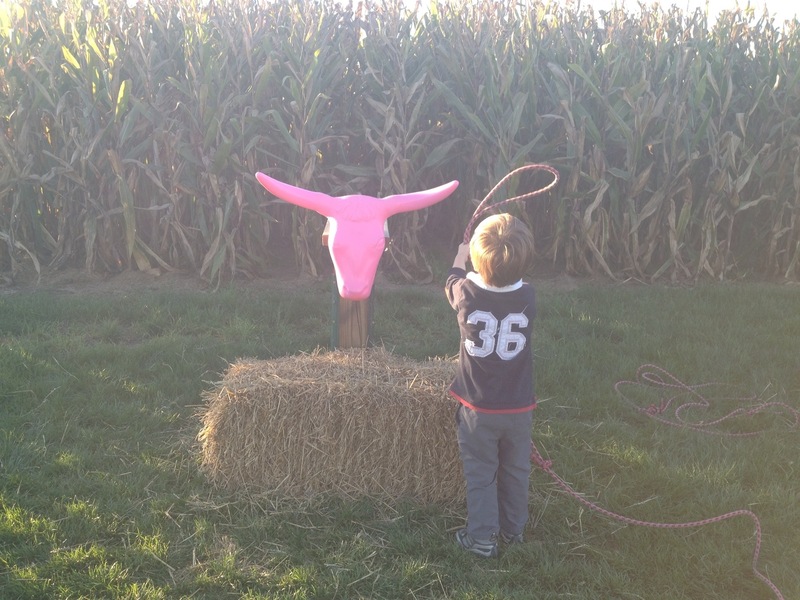 The farm even has huge wooden “targets” cut out and painted for Halloween. There is something so satisfying about having those mini pumpkins SMACK and SPLATTER against the face of a jack-o-lantern. I’ll be honest, this is something we ALL look forward to! 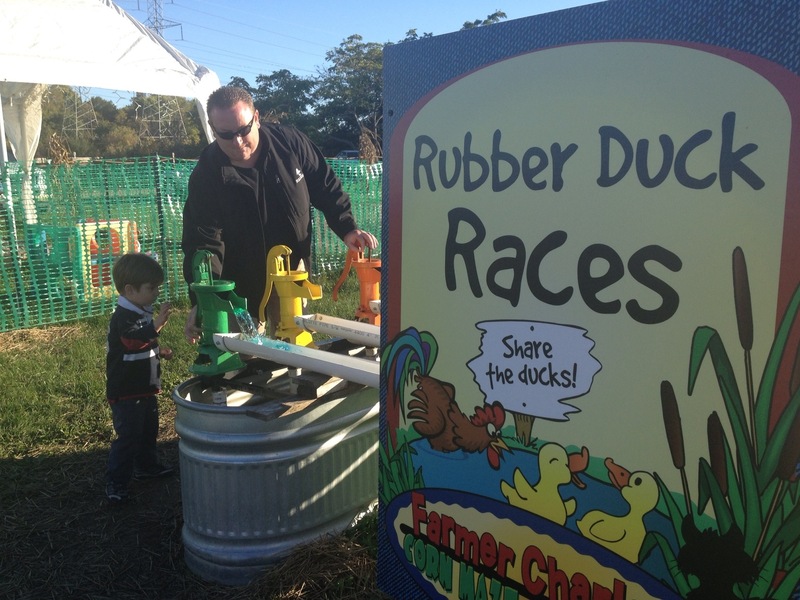 They have a smorgasbord of activities at this family farm that are all kitschy and totally awesome. I couldn’t get pictures of everything and still enjoy my family because it’s a thrill a minute! 1) Pig races with an announcer and prizes. 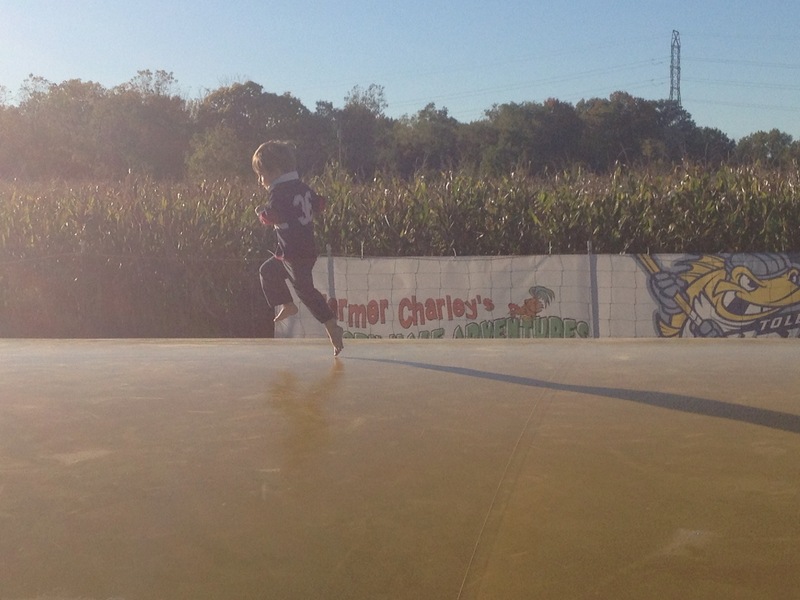 3) A very challenging corn maze that was laser cut into their field to look like Spider-Man this year. They take a poll on their Facebook page every year. 4) Barrel train rides with a souped up riding mower as the engine driven by a descendent of Mario Andretti. 5) A huge firepit is lit every night that you can warm up to or buy s’mores kits at their bakery and roast ’em up! 6) Their bakery has apple cider slushies, warm apple cider, hot cocoa, coffee and every type of fancy cookie and doughnut you may be craving. There is a tent where they make fresh kettle corn right in front of you. Next door is a snack shack you can order any number of artery-clogging fried goodies, including corn dogs on a stick, quite a novelty! You may not bring your own food, so try to eat beforehand. There is a huge tent with lots of picnic tables however, if the mood strikes you to sit and nosh on some carnival-esque foods. The fun was everywhere to be had, even in the most simple of things. 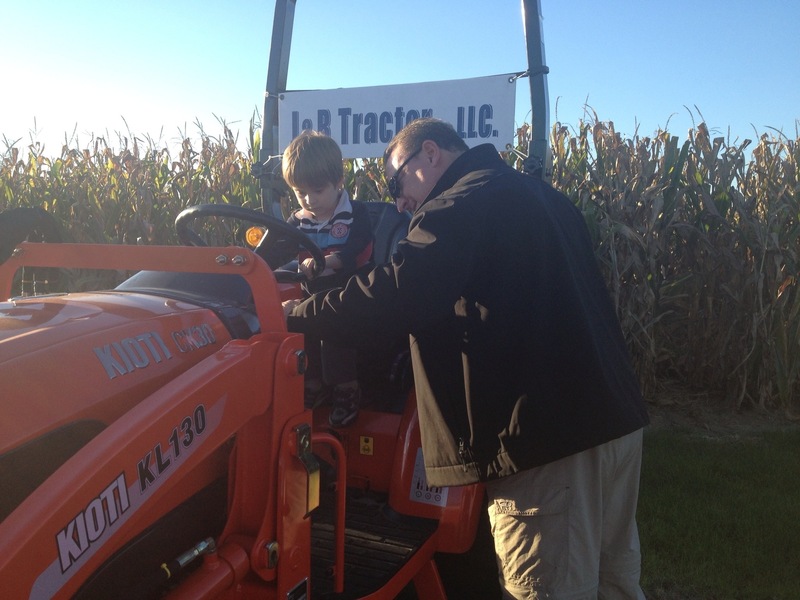 They had tractors from a nearby dealership that we loved exploring, pushing buttons and honking the horn. 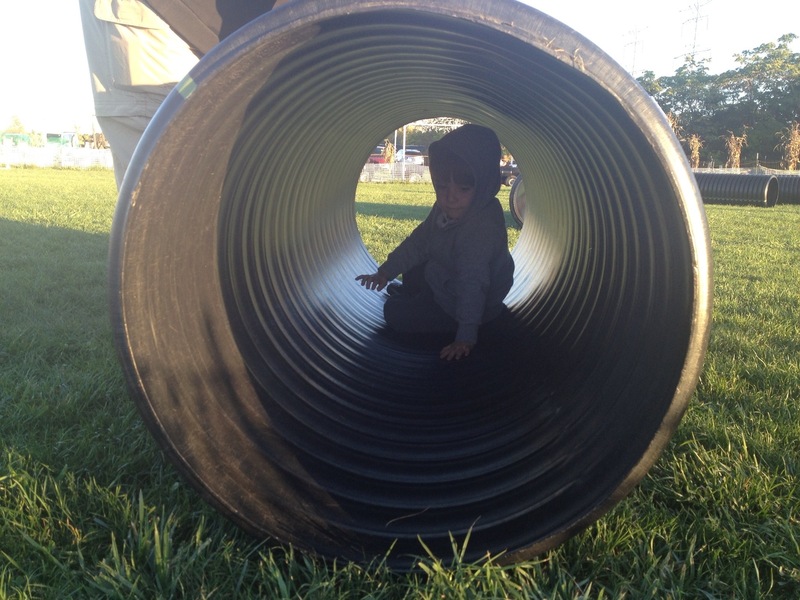 We rolled around and around all over the great lawn in plastic drainage tubes. This idea was genius! Of course, no farm would be complete without farm animals. 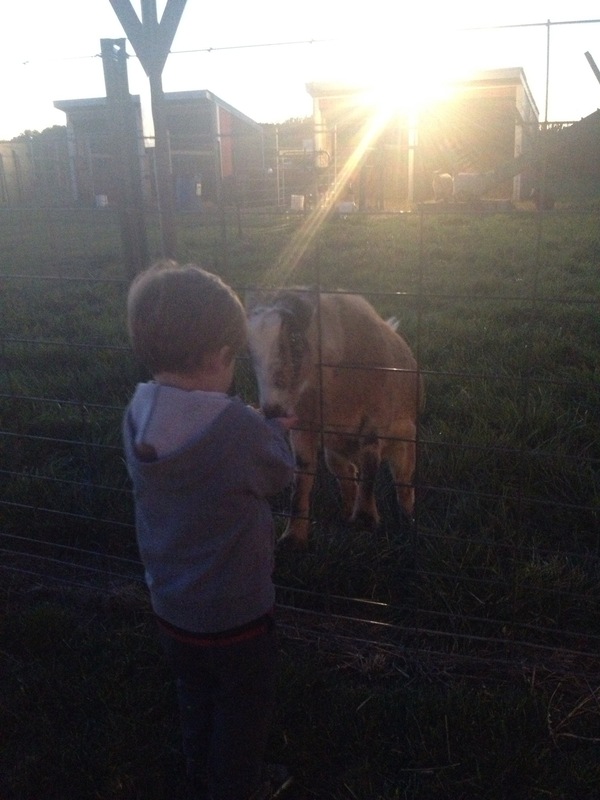 We enjoyed petting, feeding and talking to the goats, cow and sheep. Thursday nights are family night, so if you bring a can/box of non-perishable food you can get a discounted admission. It was also not as crowded (read, less lines) on a Thursday night versus a weekend afternoon. We purchased “bounce back” tickets at half price before we left to visit again. Port-a-John use only, but they are not totally horrible. Plus, my kid looooves a urinal. Hey, anything to encourage potty-training, right? What’s your favorite Fall Family Fun place to visit?